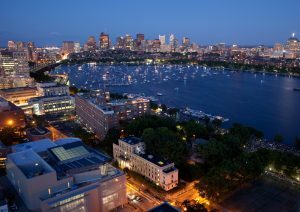 Cambridge, MA is a city in Middlesex County with a population of over 105,000, spread out among 44,000 households. Located just north of Downtown Boston, Cambridge is a major city in the Boston Metropolitan area. With so many residents, there are plenty of homeowners in need of our exterior remodeling services in the Cambridge area. Located about 7 miles away from our homebase in Waltham, MA, we have been working in the Cambridge area for years. We are prepared to assist all of our Cambridge homeowners with any of their remodeling needs. Here at E.M. Snow, Inc., we have providing the Greater Boston area with our exceptional roofing, windows, and siding installation services for over 50 years. Our company has been helping Massachusetts homeowners repair and transform their homes for decades. We are proud to be able to provide homeowners with our extraordinary workmanship, and our craftsmen are ready to assist homeowners in the Cambridge area today! Interested in learning more about the services we offer? Take a look at a list of our services below! Here at E.M. Snow, we know that the health of your home begins with your roof. Therefore, we take care to ensure that our clients roofs are installed carefully and thoroughly. Our team is ready to install both asphalt shingles as well as rubber roofing for our commercial clients. However, due to our high volume of work, we only provide new roof installations. Our crew will install your roof carefully, thoroughly, and ensure that every shingle is in place! Here at E.M. Snow, our team is proud to be able to provide high-quality CertainTeed asphalt roofing shingles. CertainTeed is one of the leading manufacturers of the roofing industry, and we are happy to install their products for our homeowners. Furthermore, we are honored to be recognized as a CertainTeed Select ShingleMaster, which is a title given to contractors that they trust to install their products the right way. If your asphalt shingle roof is in need to replacing, reach out to our team at E.M. Snow to learn more about why we are are honored to be able to carry the CertainTeed line of products. If you need your asphalt shingle roof replaced, reach out to our team at E.M. Snow today! Siding is an important but often overlooked part of your home’s exterior. It serves a variety of functions, including protecting your home from the elements and pests, as well as providing an extra layer of insulation and giving your home curb appeal. If your home is in need of new siding, E.M. Snow is here to help. We are ready to provide siding solutions to the Cambridge community. Whether you are looking to install the tried-and-true classic, vinyl siding, or you’d prefer a less conventional option like James Hardie’s Fiber Cement, we have options for every budget and aesthetic taste. We’ll provide homeowners with a siding product that they can trust to keep their home safe from the elements and make the exterior of their home look fantastic! Interested in receiving more information about the services we provide to the Cambridge, MA community? Reach out to our team today! We are happy to provide free estimates to Cambridge residents and we are ready to discuss any of your home improvement projects. We can be contacted by calling us at 781-893-4546 or by filling out our online contact form.